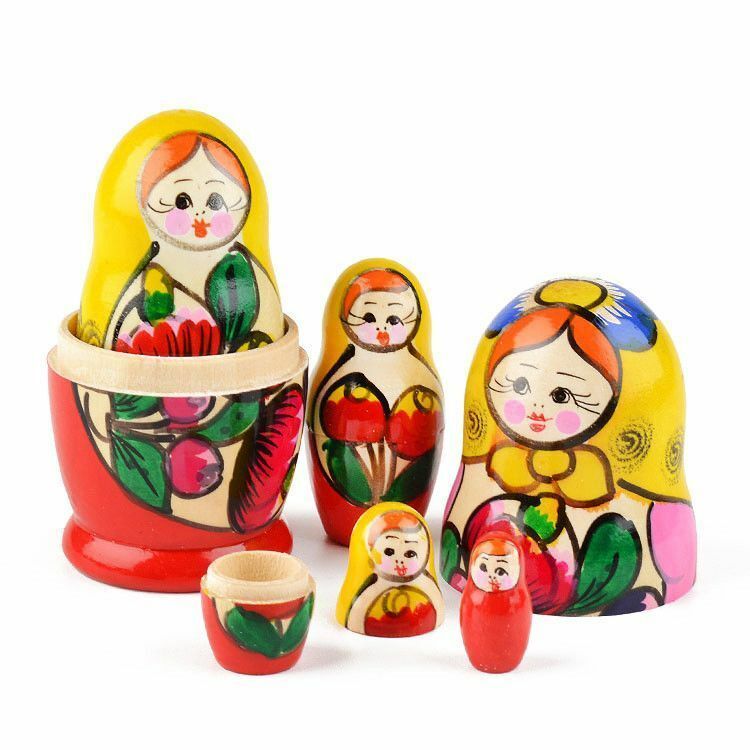 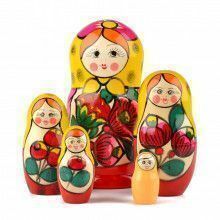 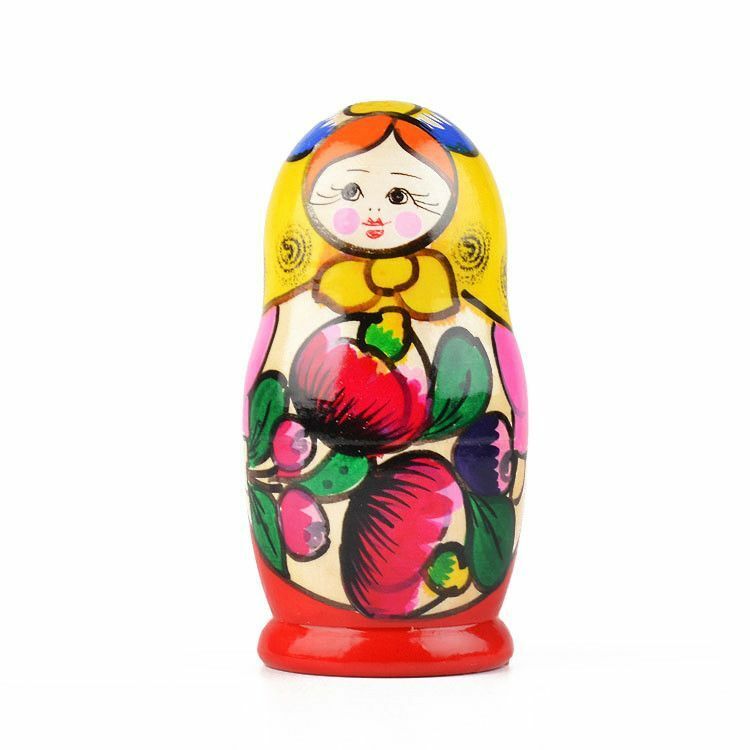 This colorful matryoshka painted in the classic Maiden style (bright, bold, simplified colors outlined in black) was hand-made in Russia. 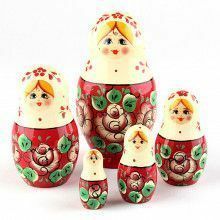 She is about 4 1/4" tall and has a total of 5 pieces. 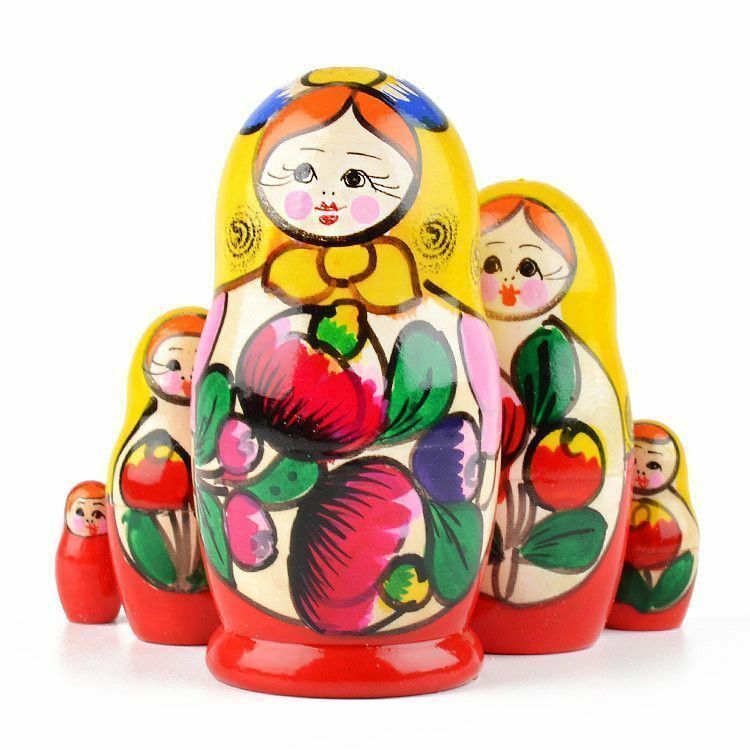 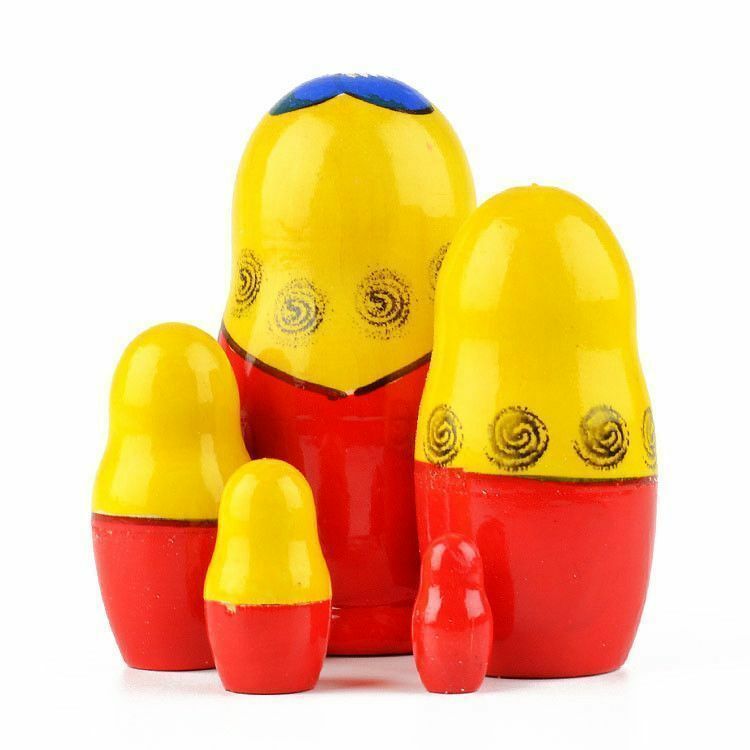 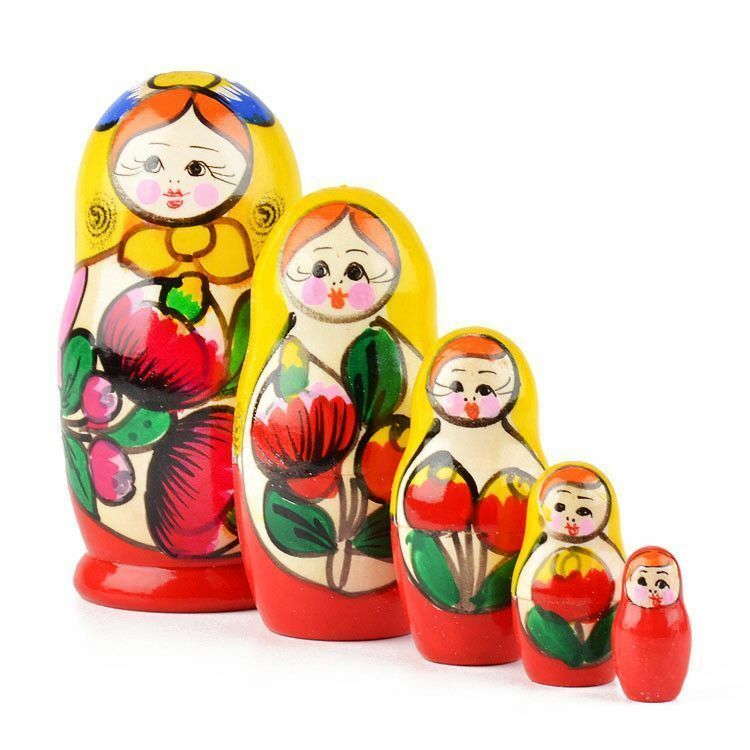 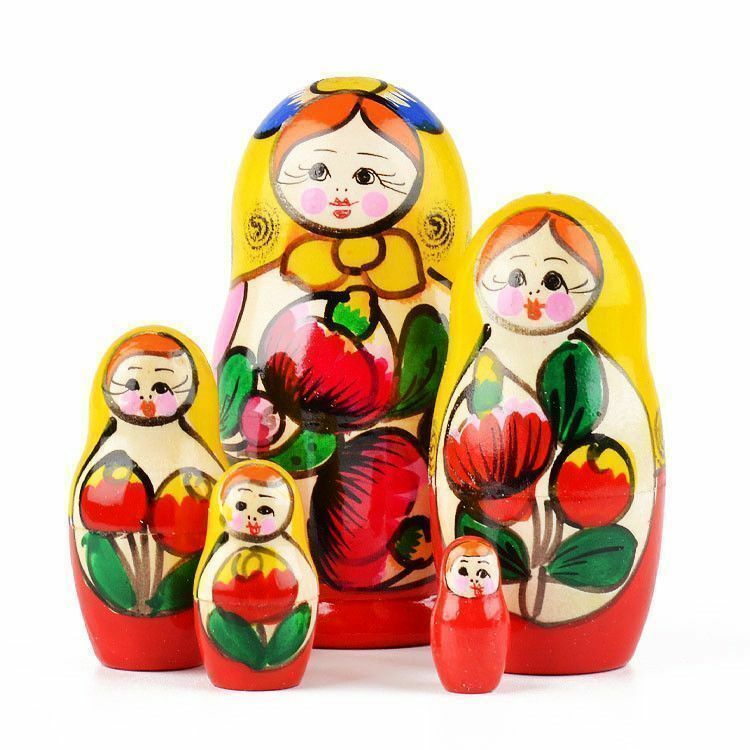 This fun and small nesting doll makes a unique gift for just about anyone.